ATLANTIC CITY, N.J. (AP) — At first, it seemed like a coincidence, the kind of thing that happens from time to time at a casino, where the same number or same sequence of cards happens twice in a row. The April 30 incident was the latest instance of unshuffled cards causing big headaches for an Atlantic City casino. In December, the Trump Taj Mahal Casino Resort used unshuffled mini-baccarat cards for 3½ hours before realizing something was wrong. That episode led to a $91,000 fine against the casino, which fired nine people it said were involved. "The Golden Nugget appealed to gamblers to come in and play games licensed and sanctioned by the state of New Jersey," he said. "My clients did exactly that, and then were denied their winnings. There is absolutely no law in New Jersey that would permit the Golden Nugget to declare the game illegal because it failed to provide shuffled cards." But in a lawsuit filed against the 14 gamblers in July, that is exactly what the casino seeks, citing state gambling regulations requiring all casino games to offer fair odds — to both sides. The casino's lawsuit asserts the gamblers and the casino both began the game believing it was legal and proper — until the players kept winning over and over again. 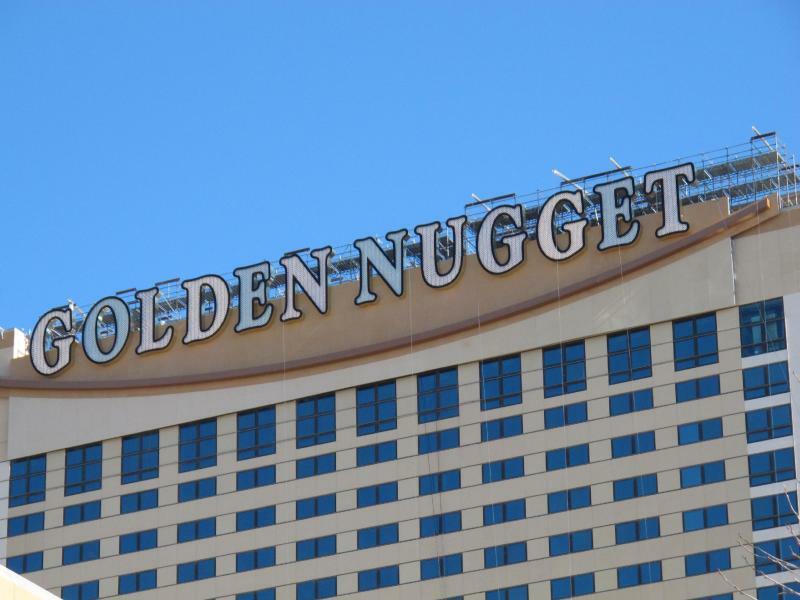 The Golden Nugget said it flooded the area with floor persons, managers, supervisors, surveillance and security officers, believing they were watching "a sophisticated swindling and cheating scheme" in progress. "From the beginning to the end of play, however, plaintiff could not identify any particular act of those players that actually constituted swindling and cheating," the casino wrote in its lawsuit. Accordingly, it let nine of the players cash out $558,900 worth of chips. The other players still have $977,800 in chips that they have not yet cashed in. The Golden Nugget also asserted in its lawsuit that Gemaco, Inc., a Missouri playing card manufacturer, acknowledged it had provided a defective shipment of cards that were not pre-shuffled. A message left at the company's administrative offices was not immediately returned Monday. Three of the Golden Nugget gamblers have filed a counter-suit against the casino, alleging the gambling house discriminated against them based on their Chinese heritage. The three are from Atlantic City, Queens and Brooklyn, N.Y. One of them, Hua Shi of Brooklyn claims he was sleeping in his room at the casino when someone knocked on the door. When he answered, he was rushed by four Golden Nugget employees who pinned him against the wall and searched him and his belongings, according to his lawsuit. He said casino personnel held him in a room without food, water or an interpreter for eight hours. After a second search of his room, he was released, his lawsuit asserts. The casino called the allegations in the gamblers' lawsuit "completely false." "The Golden Nugget values all of its customers and would never discriminate against anyone, including the Asian community," it said in a statement. "In fact, the Golden Nugget designed and built an Asian gaming area and restaurant to specifically attract Asian guests to the casino. The countersuit has no merit and is nothing more than a ploy by the gamblers and their lawyers to tarnish the Golden Nugget's reputation in order to gain an economic advantage in the lawsuit. We will not let this happen."